One thing that people who win big on the stock market usually have in common is that they research stock before they invest. When you are throwing money into an investment, you have many hopes and goals. You hope and plan to recover your investment and more. You hope to make enough to retire in the Florida Keys. You hope to be a successful investor. The points of your goals will differ from person to person, but this last goal will always be the same. No one wants to lose in the stock market or anywhere else. The best way to increase your odds of being a successful trader of stocks is to research stock. One way that you might begin your research is by looking at quotes. Real time quotes offer you a look at what the stock prices are doing this very minute. Historical quotes offer you a glimpse at past quotes. These quotes may help you to determine patterns in the stock price. 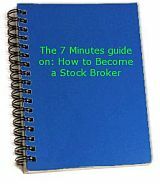 This is a very good way to research stock because it helps you to predict what the securities may do in the future. You can go strait to the books for you answers. Every publicly traded company must make an annual financial report. These reports are comparable because all US companies must adhere to a common set of accounting guidelines called GAAP, or generally accepted accounting principles. However, while all companies must adhere to GAAP, that still leaves some leeway for differences in accounting. For example, companies are allowed to use different types of depreciation methods for their long term assets as long as they stick with the same type. One company may show greater long term assets in early years than another one even though they have the same asset. In the long run, the results and numbers will even out to the same thing, however. Many people use ratios to compare different companies and stocks. There are many different ratios that one may use. They come in different categories according to their uses. There are ratios that are used to measure profitability, use of assets, and more. But one thing that you should remember is that ratios shouldn't be taken by themselves. There are often explanations for an extremely high or low ratio, such as accounting methods. Another way that you can research stock is by going to the professionals. Analysis reports often offer a professional's viewpoint on the stability of a company and what a stock might do. These reports can often help you see your investments in ways that you failed to before. These people have years of training and experience to help them out. Let their knowledge and expertise help you out too. There are many stocks out there to invest in. It is impossible to avoid all of the wrong choices. However, with a little research, you can make good decisions that you are comfortable with. Don't invest your money blind-folded. Do it with a little research and wisdom.